I know you’re all dying for an update on my hair. Last summer I trimmed my pixie for the “last” time. It was the last cut before the great grow out, the final feast before the epic quest. I braced myself for the days of graceless hair ahead, but I had no idea of the trials that would befall me in winter. No idea at all. In my defense, I trimmed the mullet along the way. I knew that much from pinterest, but not even mullet trimming can prepare you for the ear-length-bob-now-I-look-like-a-Bob months. That’s right. Months. The hairs (all of them) beg to be pulled back into a half-updo, yet cannot reach the clip. The agony! 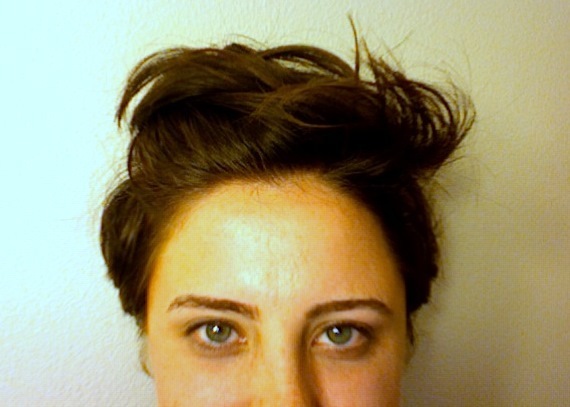 Growing out a pixie cut requires a six-month hiatus from mirrors. Growing out a pixie is like carrying the One Ring across Middle Earth to be destroyed in Mordor. I took on this impossible mission and began the trek. But then February came, and like Frodo, I failed. I got to the edge of the Cracks of Doom, but couldn’t complete my task. In other words, I got my hair cut on Saturday. I’m not kidding. But I think she was? Then I stepped out of the salon (Mount Doom) with cut hair. Short hair. Looks-like-I-never-beared-THE-ONE-RING hair. Oh, well. The good thing about short hair (one of the many) is the reminder that it’s just hair. Maybe next time I decide to grow it out I’ll keep that in mind. For now, I’ll just enjoy making it stick up in weird ways. haha Thank you! My mom would call it “building character,” which translated means “terrible.” I’m glad to hear you persevered. Love how you describe growing a pixie out! I am currently in the middle of month three and it is mullet central, but I am trying not to cut it off! Your cut looks totally BA though!